VietNamNet Bridge – The central city has yet to reach its target as a key urban hub in central Vietnam with outstanding innovation, and smart and ‘green’ infrastructure before attaining global city status. Ships dock at Tien Sa Port in Da Nang City. The city plans to develop into a global hub of hi-tech industry and tourism. Director of the Central Institute for Economic Management (CIEM) Nguyen Dinh Cung said at a workshop on the city’s Development Plan to 2035, vision 2045, on Monday. Cung said the city’s face-lift in recent decades was mostly based on natural resources and real estate development rather than from advances in innovation, hi-tech industry and value chain creation. “I am yet to see any changes in innovation and technology in the city’s economic and development structure, even in the leadership. The city still develops its domestic economy rather than focusing internationally toward growth,” Cung said. “Having ranked in the top five cities’ Provincial Competitiveness Index (PCI) for years, Da Nang has not made any unique difference in comparison to other cities and provinces in industrialisation, hi-tech industry and farming, as well as in tourism,” he said. He suggested that the city should keep its eyes on a higher growth target by promoting its potential strengths including manpower, education, finance and tourism. He said the city needs to implement positive changes in institutions and mechanisms to take off from short-term planning. Cung said the city’s tourism has been seen as a key factor in boosting the city’s growth, when the ‘green’ industry could spark the development of airports, sea ports, logistics infrastructure, accommodation and the service industry, with the participation from private sector. Bui Tat Thang, a member of the Prime Minister’s Economic Advisory Group, said the city has been facing a deficiency of capital, high quality human resources, land and open mechanisms for quick pace growth. He said the city had a stable growth with 7.03 per cent in 2017 – higher than the country’s overall growth of 6.8 per cent, but its contribution to the country’s Gross Domestic Product (GDP) was only a mere 1.55 per cent. Although industry and services make up a 98 per cent share of the city’s Gross Regional Domestic Product (GRDP), the city has yet to introduce national brand industry products or unique tourism services, he added. “The city’s industry and services, which accounts for 93 per cent of the labour force, can not produce global brand hi-tech products, and labour productivity is still poor. Tourism, which is one of top growing industries, earned a revenue of VND16.5 trillion (US$730 million) – a 23.7 per cent share of the city’s GRDP – in 2016, but world luxury service is still not available,” he said. According to the United Nations Industrial Development Organisation (UNIDO), industrial production in Da Nang still consist mainly of low technology and medium output, while only two hi-tech industries – the pharmaceutical industry and electronics, computing, and optics – were recorded. Almost all foreign direct investment (FDI) projects focused in processing and assembling products that were labour-intensive. According to the city’s tax agency, among 16,000 businesses, only 1.36 per cent are large scale enterprises, with investment from VND200 billion ($8.8 million). Thang said the city should be given authority in pushing its own unique brand of smart and ‘green’ growth in its journey to becoming a global city in the future. Vu Viet Ngoan, head of the Prime Minister’s Economic Advisory Group, suggested the city should aim to build itself as a globally connected hub with seaports, airports, logistics infrastructure, and a booming IT industry. He said the city could build itself as a hub of technology and a destination of international conferences, as well as a rendez-vous of new hi-tech industries in the world. Architect Ngo Viet Nam Son, who chairs the planning research on the city vision to 2030, said Da Nang has yet to develop as a key urban area in central Vietnam, and must utilise its current potential power. 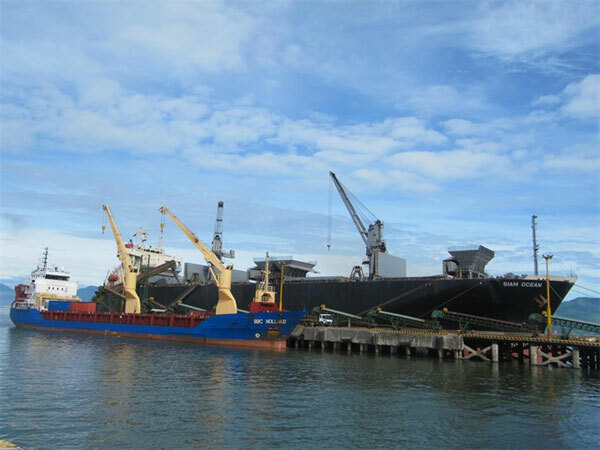 “The city should develop as a maritime port with connection to beaches and mountains for tourism purposes, and should connect to the ports of Tien Sa, Lien Chieu, Tho Quang and Da Nang Bay,” Son said. “Da Nang could develop riverside urban zones along the Han and Cu De rivers, and better connect the airport to hi-tech park and industrial zones,” he said, adding that universities and health centres, as well as industrial parks, should be planned to accommodate innovation. Son warned that the city should develop ‘green’ spaces such as parks and lakes, to stop the downtown area from becoming overrun with high rises and concrete. He suggested Da Nang should develop as a liveable city to lure domestic and foreign residents for the long term. Vice chairman of the city’s People’s Committee, Ho Ky Minh said the city has developed the 2030-2050 socio-economic master plan to seek new development targets. He said Da Nang aims to become a key tourism site in central Vietnam. Da Nang also plans to build an underground traffic system with road tunnels and a metro in the coming years. 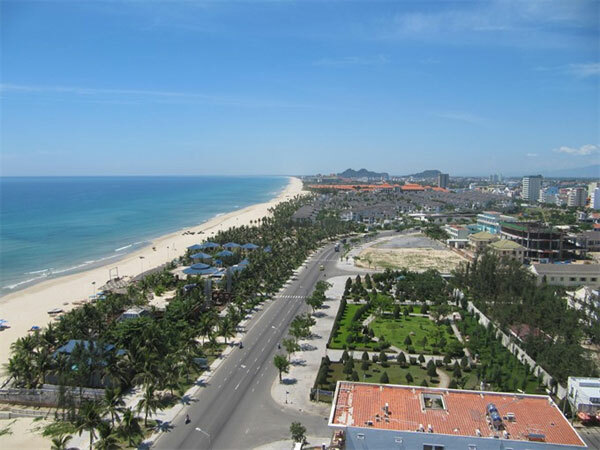 Beach resort and hotel projects are booming along the 90km coastline in Da Nang City. As planned, the city will include six inner districts and two suburban districts – Hoa Vang and Hoang Sa Island – with an estimated population of 2.5 million. The city will be developed on 128,543ha of land, of which the Hoang Sa (Paracel) Islands cover 30,500ha. Da Nang, which is situated at the end of the East-West Economic Corridor, linking Laos, Thailand, Myanmar and Vietnam, is planned as a global destination of tourism, finance, logistics and hi-tech investment. Director of the Viet Nam Institute of Economics, Tran Dinh Thien said the city should host exhibitions and fairs to attract tourists and investors. The city has recently developed the 1,100ha industrial park in Hoa Vang District, 20km west of the centre, for green and hi-tech investors, and one of three major national multi-functional hi-tech parks across the country after HCM City and Hanoi. 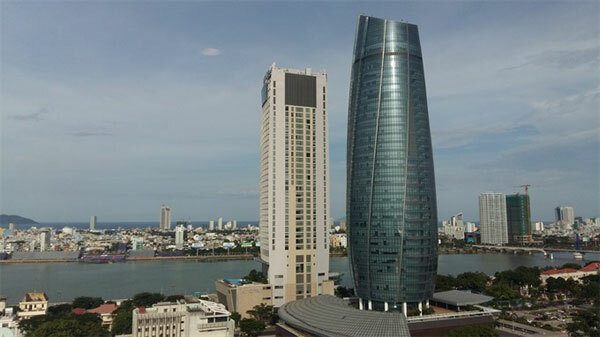 According to recent reports, Da Nang has thus far attracted a total of 546 foreign direct investment (FDI) projects worth more than $3 billion. Next: Trump Kim summit: What food was on the diplomatic menu?